Football Federation Australia aims to more than double its $40 million a year TV revenues when the next broadcast deal is struck, lifting rights fees perhaps as high as $100 million a year. FFA chief David Gallop, who celebrates a year in the position on Tuesday, believes that the popularity of the code, its growing television audiences, sponsorship and marketing appeal make a target of that size feasible. However, he does not see further expansion of the 10-team A-League in the medium term, nor does he believe that the introduction of promotion and relegation is something that will occur any time soon. Gallop believes the interests of the game are best served through universal control by the governing body, so he does not see the establishment of an independent commission for the competition, with the clubs taking more control of their destiny, as likely, or desirable. 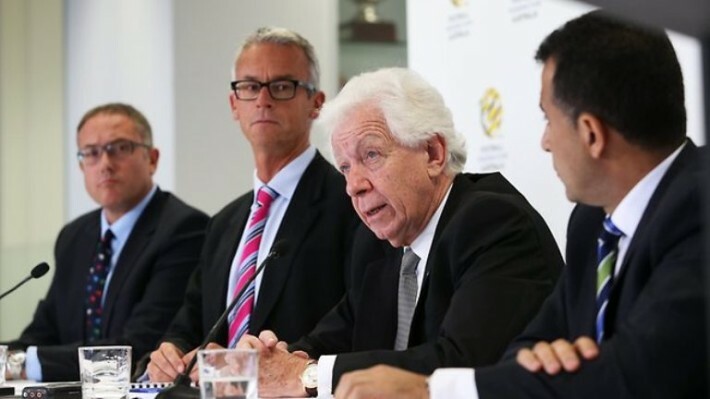 Broadcast rights will remain the game’s biggest cash cow, and Gallop said the focus had to be on extracting maximum value for the product based largely on the appeal of the Socceroos and the domestic competition. Fox Sports, the inaugural partner when the A-League was established in 2005-06, has helped drive growth but Gallop knows that breaking beyond the narrow confines of a pay-television operator is essential if the sport is to harness not just its popularity but develop its commercial potential. SBS has provided it with its first exposure to the free-to-air market but its footprint and audience are much smaller than the likes of channels Seven, Nine and 10, which will be among the targets in the next round of negotiations. “Getting on to free-to-air was a breakthrough moment for the sport, and certainly complements the investment that the pay-TV operator has made. We would certainly envisage that we get ourselves into a position where we have a number of suitors next time, including the commercial networks. © 2013 The Age | This article was written by Michael Lynch and first appeared in The Age on 12 November 2013.